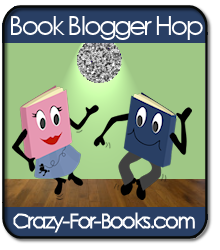 …and that means the Book Blog Hop is here! Lovely post, I have a few and I want to Re-read some that I own again. But I have a TBR List on goodreads that will probably grow. You can check out the rest of my Blog. Sooner or Later I will probably have another look. Take a look around and follow me if you want to. I do have Linky Follower if you want to follow me that way but that is up to you. I try to keep my TBR list to a minimum too- I get a bit panicky when it goes over 20 or so! I used to get panicky when it went over 10…but that’s the norm these days! When I put my books in my new bookcase I might put them all on goodreads…but that might be to ambitious! Hmm. I’ve never counted but I figure I can work this out. My TBR takes up half a bookcase and is 125 books. So five bookcases equals about 1250 books? Although there’s still more at my Dad’s house..
yikes that’s quite a number!